I'm always on the hunt for good skincare! I had run out of my previous serum and decided I wanted to give another brand a try. Now I don't find that serums make a huge difference in the look of my skin, but it does make my skin feel hydrated if I use one. Plus, I like to think it keeps some of the moisture in my dry skin when layered with other products. 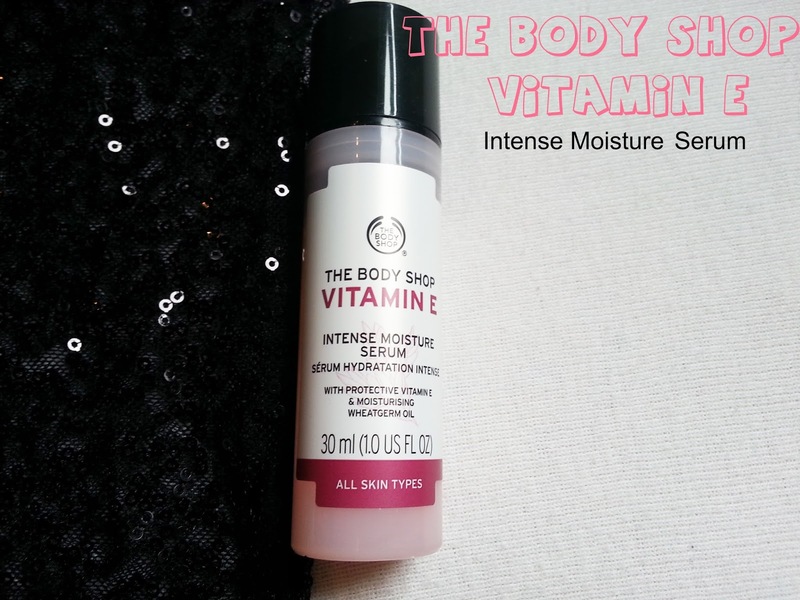 The Body Shop was having a huge sale on at the time, so I added this Vitamin E - Intense Moisture Serum to my cart, and gave it a try as soon as it arrived. This lightweight, pre-moisturiser treatment boosts the skin giving enhanced all-day moisture and protection. Formulated with protective vitamin E and moisturising wheat germ oil, this facial serum leaves skin feeling instantly smooth. Pair with our selection of Vitamin E day and night moisturisers, as part of your personalised skin care routine. 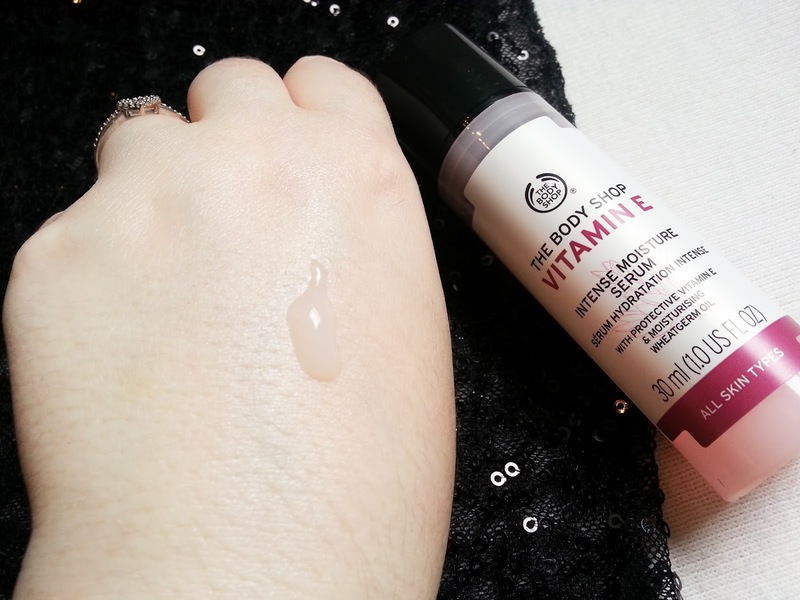 As you can see in my hand swatch, the formula itself is quite thin. I find that it applies evenly and smoothly to the skin, and doesn't take much time to soak in either... which is great when you're in a hurry. I use this both in the morning and night, and since it is a thinner consistency, I have no issues with it when layering it with other products. One pump is more than enough. I do find I get some hydration with this serum, but I wouldn't call it intense. However, my skin feels great once it's applied. There is a slight fragrance, but it doesn't linger on the skin, and doesn't irritate my skin either. I do enjoy this serum, and I would consider repurchasing it in the future, if it's on sale. Sometimes The Body Shop has 40% off deals, and that's when I would pick it up. I wouldn't pay full price. I will say though, it has lasted me quite awhile.